Stir in the spinach and sun-dried tomatoes, and simmer for a few minutes until the spinach begins to wilt. 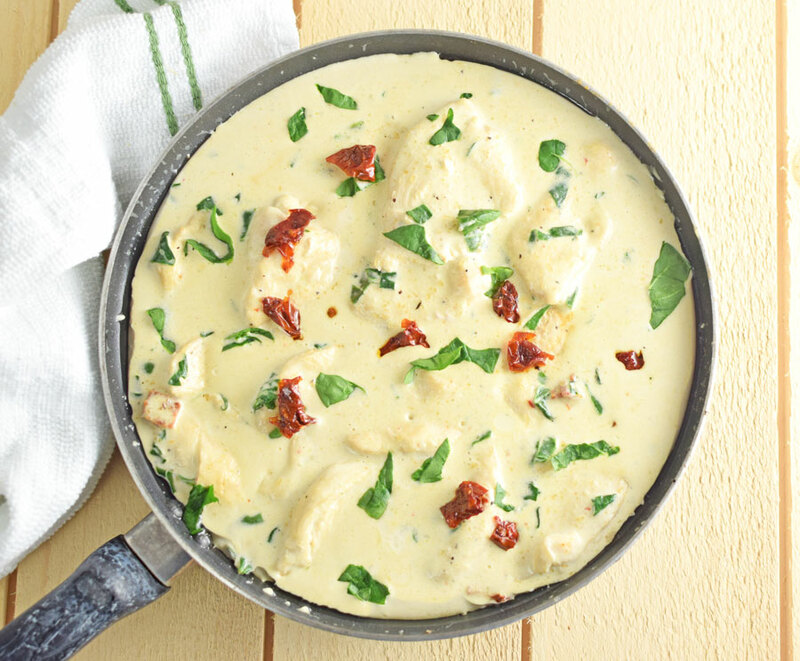 Add the chicken back into the pan and coat in with the creamy sauce. Serve this dish hot over your favorite pasta. 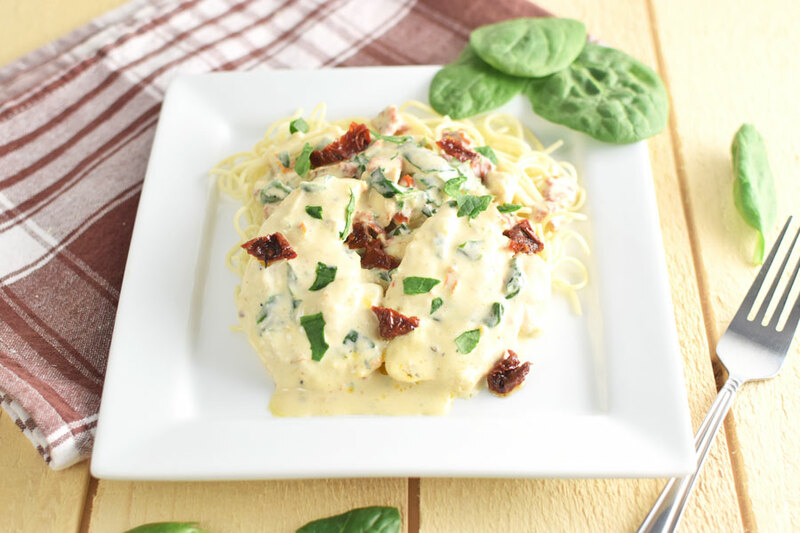 Print the Creamy Tuscan Garlic Chicken recipe below. 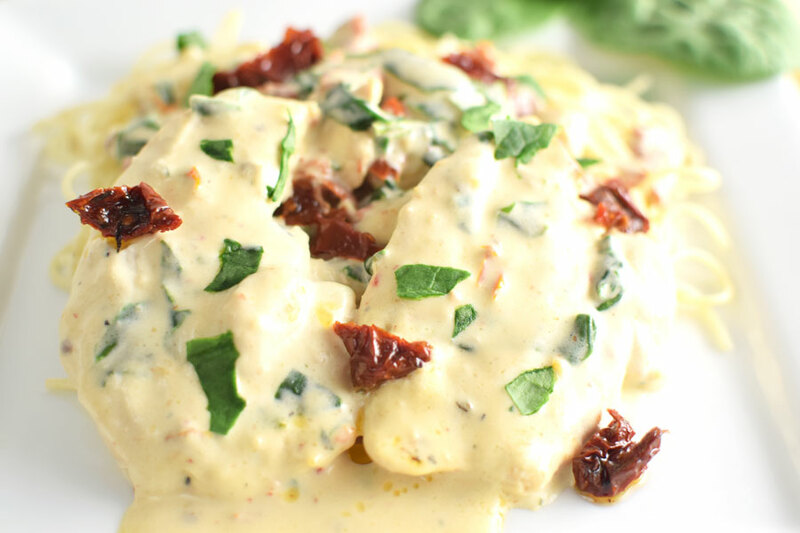 This Tuscan Garlic Chicken has a creamy garlic sauce with spinach and dried tomatoes that is absolutely delicious and is ready in 30 minutes. And when you place the chicken and sauce over pasta it tastes like something you would eat from a restaurant. In a large sauce pan, heat olive oil. Then cook sliced chicken on medium-high heat for 3-5 minutes on each side. 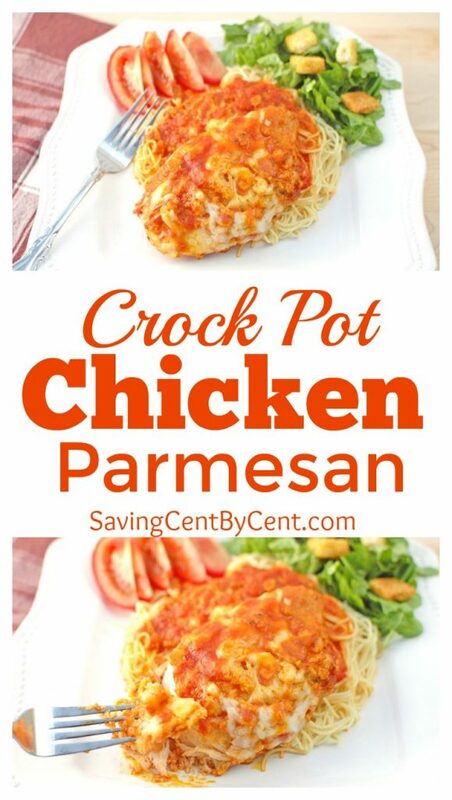 Remove chicken from pan and set aside on a dish. Add the heavy cream, chicken broth, garlic powder, Italian seasoning and Parmesan cheese to the skillet. Whisk until it begins to thicken. Stir in the spinach and sun-dried tomatoes. Simmer for a few minutes until the spinach begins to wilt. Add the chicken back into the pan and coat with the creamy sauce. Serve this dish hot over pasta. Thanks! Your family will love it!